When I was growing up, I dreamed about becoming a cowgirl, a detective, a spy, a great actress, or a ballerina. Not a dentist, like my father, or a homemaker, like my mother — and certainly not a writer, although I always loved to read. I didn’t know anything about writers. It never occurred to me they were regular people and that I could grow up to become one, even though I loved to make up stories inside my head. When I grew up, my need for storytelling didn’t go away. So when my own two children started preschool I began to write and I’ve been writing ever since! My characters live inside my head for a long time before I actually start a book about them. Then, they become so real to me I talk about them at the dinner table as if they are real. Some people consider this weird. But my family understands. Many of my books are set in New Jersey because that’s where I was born and raised. I lived there until my kids finished elementary school. Then we moved to New Mexico, the setting for Tiger Eyes. I also spent two years in Connecticut, where Just as Long as We’re Together and Here’s to You, Rachel Robinson are set. And Fudge-A-Mania grew out of a summer spent in Maine. I don’t think I could set a book in a place without knowing it really well. Now I live in New York City and Key West, Florida, with my husband, George Cooper, who writes nonfiction. He thinks I’m lucky because I get to make things up. I think it would be fun to do research and discover stories, like George. Between us, we have three grown children and one incredible grandchild, whose first word was “book”! That makes sense since we all love to read to him. 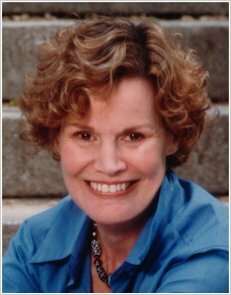 Judy Blume has won many prestigious awards, including the Margaret A. Edwards award for Lifetime Achievement.